1 Enclosure is die casted of aluminum alloy ,high voltage electrostatic powder coated after shot blasted. 2 Built in flameproof limit switch components. 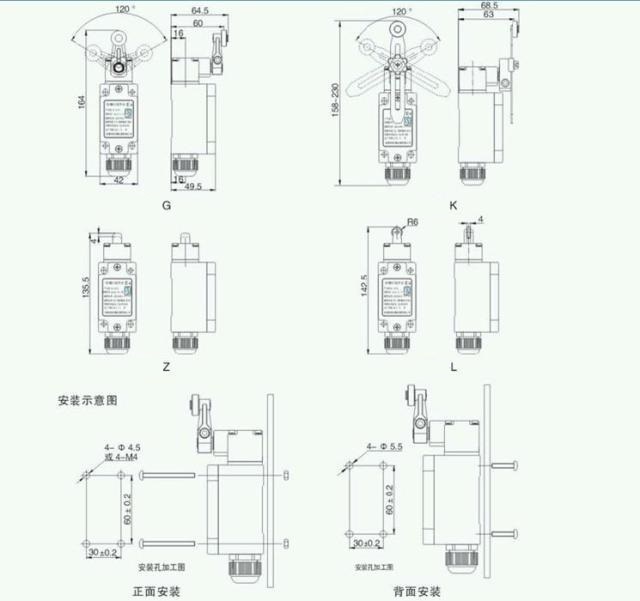 3 Limit switch components enclosure is injected of flame resistant engineering plastic, joint welded by ultrasonic wave. 5 Anti dropping type earthing bolt is easy to mount and maintian. 6 Compress seal design to enclosure cover spindle and cable entries etc to improve ingress protection. 7 Several mounting types can meet different sites need. 8 With good water resistance and dust resistance property. 9 Steel conduit and cable wiring.